It’s a safe bet that your reason for buying a pool wasn’t your love of skimming and vacuuming. However, proper pool maintenance is essential to the quality and longevity of your investment. Spend your time enjoying your pool and let the skilled personnel at Crown Pools handle your maintenance. Both for weekly cleanings and chemical maintenance, our team applies the latest industry standards to ensure a safe and inviting pool. Empty skimmer baskets, pump baskets and auto cleaner net. Brush steps, landings, and walls. Flat-vac or Power-vac excess debris as needed. Test for proper chemical levels. Backwash filter as needed (Generally once a month). 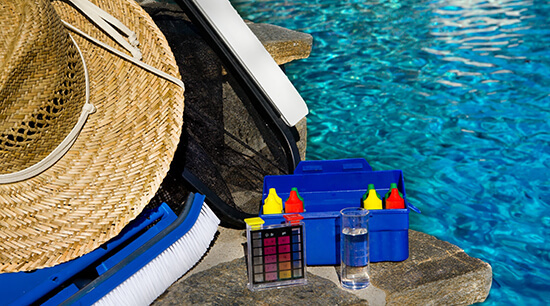 Inspect pool equipment for potential problems or leaks. Generally performed every six months) Break filter down and wash all grids or cartridges. Check for broken grids and cracks in the manifold. Acid wash tile and walls. Remove all leaves, trash, and debris. Power wash walls and tile. Service will be required at some point in the life of every pool. 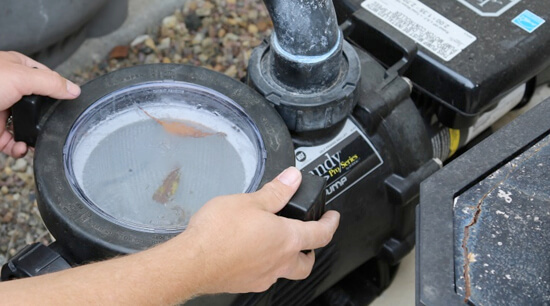 Whether equipment fails or your pool has a cosmetic issue, immediate attention is often needed. The technicians at Crown Pools understand this. We strive to provide prompt service with integrity. We want your experience to be pleasant, both with your pool and with us. Give us a call or use the form above to schedule a free evaluation by an experienced Crown Pools Technician. We strive to provide prompt service with integrity. We want your experience to be pleasant, both with your pool and with us. Crown Pools is a Zodiac and Jandy warranty station, but we also service most brands of pool equipment like Hayward and Pentair pool equipment. Give us a call or fill out the form above to schedule an evaluation by an experienced Crown Pools Technician.